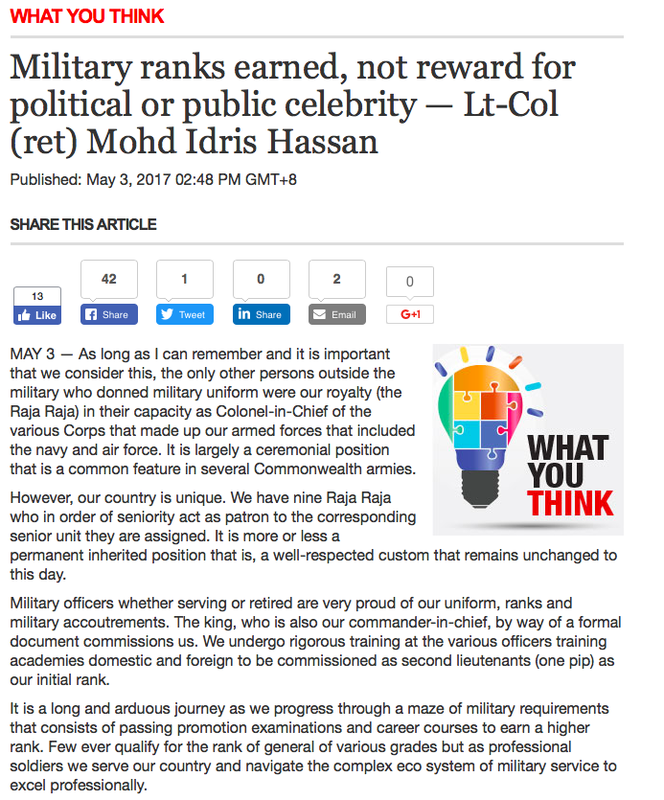 “As long as I can remember and it is important that we consider this, the only other persons outside the military who donned military uniform were our royalty (the Raja Raja) in their capacity as Colonel-in-Chief of the various Corps that made up our armed forces that included the navy and air force. It is largely a ceremonial position that is a common feature in several Commonwealth armies. However, our country is unique. We have nine Raja Raja who in order of seniority act as patron to the corresponding senior unit they are assigned. It is more or less a permanent inherited position that is, a well-respected custom that remains unchanged to this day. Military officers whether serving or retired are very proud of our uniform, ranks and military accoutrements. The king, who is also our commander-in-chief, by way of a formal document commissions us. We undergo rigorous training at the various officers training academies domestic and foreign to be commissioned as second lieutenants (one pip) as our initial rank. It is a long and arduous journey as we progress through a maze of military requirements that consists of passing promotion examinations and career courses to earn a higher rank. Few ever qualify for the rank of general of various grades but as professional soldiers we serve our country and navigate the complex eco system of military service to excel professionally. As military officers, we are very concerned that of late, politicians have begun dispensing “commission ranks” — colonels, generals and captains (navy) — among themselves which also extends to other celebrities such as singers, actors, sportsmen and social activists. None of these people have ever fired a shot in defence of the realm or done a day of military training. Some even proudly display the converted Parachute Badge commonly referred as “Jump Wings” without doing a single jump. There are also cases where certain individuals have the audacity to don the converted maroon beret of our commando units. We adhere to the belief and convention that no one other than the Raja Raja have the right to this honour. I think it is time we put a stop to these so-called honorary ranks and unauthorised use of military accoutrements. If there is a need for such ranks to be handed out then those chosen need to at least pass basic military training before even being considered for such an honour. Otherwise, those “rewarded” dishonour the service of men and women, who have actually earned their ranks in the process of serving their king and country. And lastly I would like to add that of late that large number of non military organisations have all gone “al military/police” by wearing military type ranks, insignias and camouflage uniform to the boot. Let’s keep the ranks of lieutenant, captain, major, colonel etc strictly for the military only. The top echelon of these organisations have also chosen to wear the cross swords/kris an insignia normally reserved for our top generals and very senior police officers. By doing so they not only confuse the public but our soldiers and policemen as to their standing in protocol. The country should have only two recognised institutions known as the uniformed service that’s the army and the police. I am puzzled that a retired senior Armed Forces officer does not know that the provision for Honorary commissions exists in the Armed Forces Act, 1972. I first came across this provision when I studied the Act for the Military Law subject during my Officer Cadet days. The Yang di-Pertuan Agong may grant honorary commissions in the regular forces to such persons as he may think fit. Honorary Colonels (Navy Captains), for example, are given to civilians whose position in his or her organisation commands assets of strategic importance to the Malaysian Armed Forces, such as the Malayan Railway, ports authorities, the MISC, TNB, Telekom etc., etc., and honorary ranks go down all the way to Honorary Captains (Navy Lieutenants). The lower ranks include esteemed sportsmen and sportswomen and individuals whose charisma and value to the society would be valuable to the service they are commissioned into, such as to inspire the men and women of the service, to act as a bridge between the service and related civilian agencies, and also to promote the service in public relations exercises. They are all given the honorary commission of the respective service’s volunteer reserve force. Therefore you get sportsmen and sportswomen such as Datuk Lee Chong Wei and Datuk Nichol David who have been commissioned into the Navy and Air Force respectively. You have Dato Irmohizam Ibrahim, the Member of Parliament for Kuala Selangor who has been commissioned into the Navy. He was selected for the honorary commission by virtue that he is the Chairman of the Lembaga Kemajuan Perikanan Malaysia and has been actively involved in promoting the Navy’s RAKAM (Rakan Maritim) initiative for the fishing community. Why is this a big thing? Richie McCaw, the former New Zealand’s All Blacks Captain was made Honorary Wing Commander (Lieutenant Colonel equivalent) of the Royal New Zealand Air Force! The Indian Air Force gave honorary Group Captain (Colonel equivalent) to Sachin Tendulkar, India’s cricket team captain. These individuals are commissioned as honorary officers in the volunteer forces of the three services of the Armed Forces. These officers do not need to fire any gun as they do not have command status. However, if there is a request and the command of the service the honorary officer is commissioned into, it would be at the expense of the honorary officer him/herself. Nor do they get any remuneration from the Armed Forces except for the one-off RM1,000 for them to make their uniform and buy the accessories. They are also not subjected to the Armed Forces Act and neither are they given a service number. And it is not up to politicians to hand out ranks. The commission is given by the Yang DiPertuan Agong on the advice of the Armed Forces Council which comprises of the Minister of Defence, a representative of the Rulers appointed by the Rulers Institution, the Chief Secretary of the Ministry of Defence, the Armed Forces Chief, the Chief of the Services, and two other members appointed by the Yang DiPertuan Agong. The Colonels-in-Chief and Captain-in-Chief of the respective Corps or Service would have a say on the Honorary commission to be awarded by the corps or service they preside over. For example, His Royal Highness the Sultan of Selangor as the Captain-in-Chief of the Royal Malaysian Navy has set the number of honorary commissioned officers at 50. Therefore, the Chief of Navy has to carefully select the individuals the Navy believes to be worthy of such commission. No wings are given out to these honorary officers unless they have such qualification. 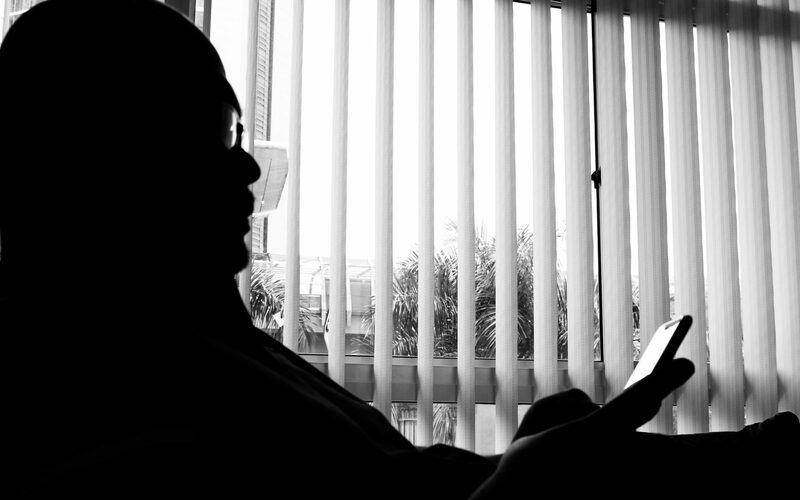 There are cases where former servicemen have been given honorary commission for the role they play in bridging the society and the armed forces, such as Datuk Huan Cheng Guan, who was an other rank in the Royal Malaysian Air Force. He received an honorary commission for his tireless effort in bridging the society with the armed forces. If Datuk Huan had a jump wing when he was serving, there is no reason for him not to don the wing if he wears the uniform of an honorary officer. If Khairy Jamaluddin is the one that is being referred to, then let it be known that he is an active reservist and had undergone basic parachute training and therefore deserves to don the wing on his uniform. He is also a Brigadier General in the Askar Wataniah. MS Dhoni, another captain of India’s cricket team was not only given an honorary Lieutenant Colonel but also the jump wings of India’s Parachute Regiment, the regiment he was commissioned into honorarily. Just like in India, it is customary for any commander of any regiment, corps or service to award honorary jump or pilot’s wings to any individual that they see fit. As for civilian organisations that have ranks similar to the military and police, I can see several that have that kind of rank. The Angkatan Pertahanan Awam is Malaysia’s Civil Defence Force and plays a role during wartime in assisting in the defence of the country. Therefore, it deserves the ranks. Oddly, it uses military ranks up to Colonel and then use police ranks for star officers. RELA uses civilian ranks akin to the police because they come from the same Ministry and RELA acts as a support organisation to maintain public order, security and safety. The Malaysian Maritime Enforcement Agency (MMEA), although a civilian organisation but like the police it is an armed service. Its Director-General is appointed by the Yang DiPertuan Agong and plays the role of a paramilitary force at sea maintaining our sovereignty. I see nothing wrong with them using Navy-like ranks because of the huge role that they play. The MMEA is not like UK’s Coast Guard which is a purely search-and-rescue outfit, while the MMEA does law enforcement, maritime border control as well as search-and-rescue. Perhaps, Lt Col Mohd Idris should also know that the Salvation Army uses military ranks and even have military training academies and corps. However, I have yet to see anyone complain in the newspapers over such petty issue. Therefore, why should we complain over something that is completely legal and is awarded by the Rulers?